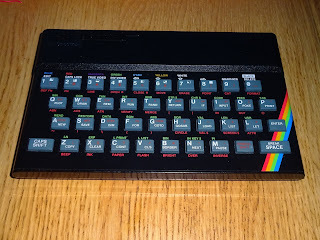 This is day 18 of the Advent Calendar of USB keyboards. 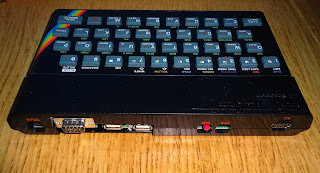 Today, an update of my previous ZX Spectrum Pi builds. 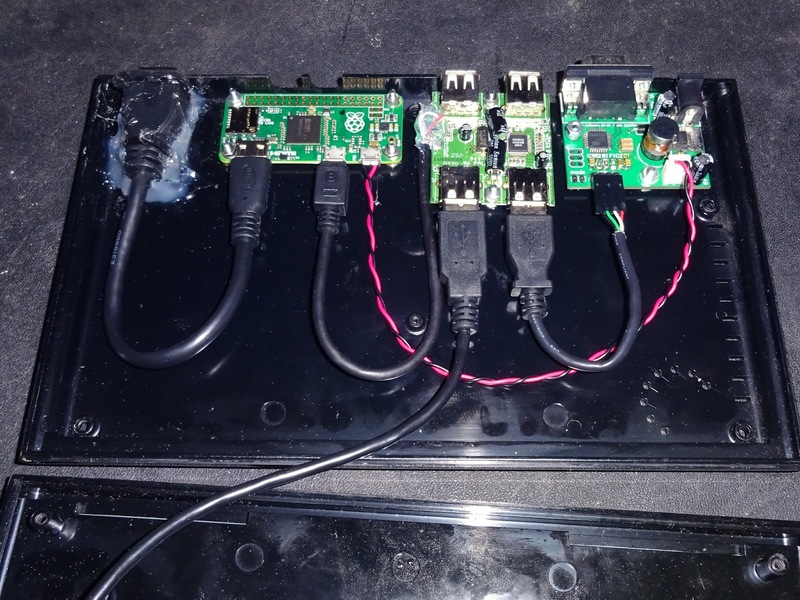 This one now has a Pi Zero, a USB Joystick adapter and a DC-DC converter for a more stable power supply, as well as the usual USB keyboard with custom membrane in the lid. I've used the new single USB joystick / DC-DC board previously on the Spectrum+2 builds. 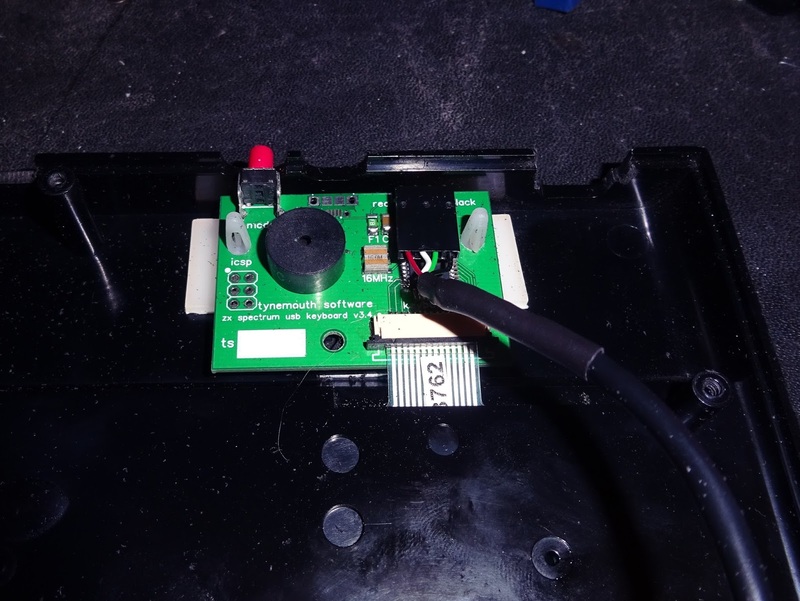 This allows an original Atari / Commodore joystick to be used as a USB joystick, and provides a clean 5V for the Pi, from a 12V DC input. 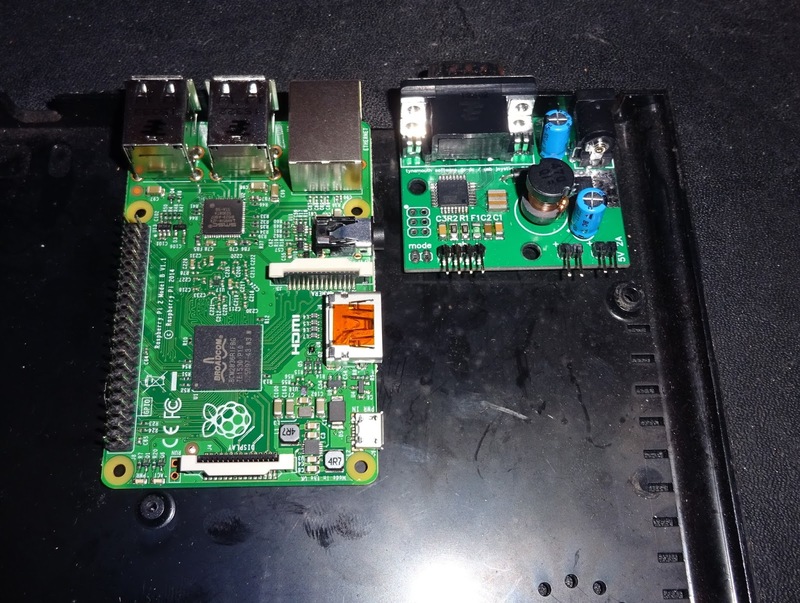 No more of those little coloured squares on the top of the screen when the Pi is complaining about inadequate power supply. 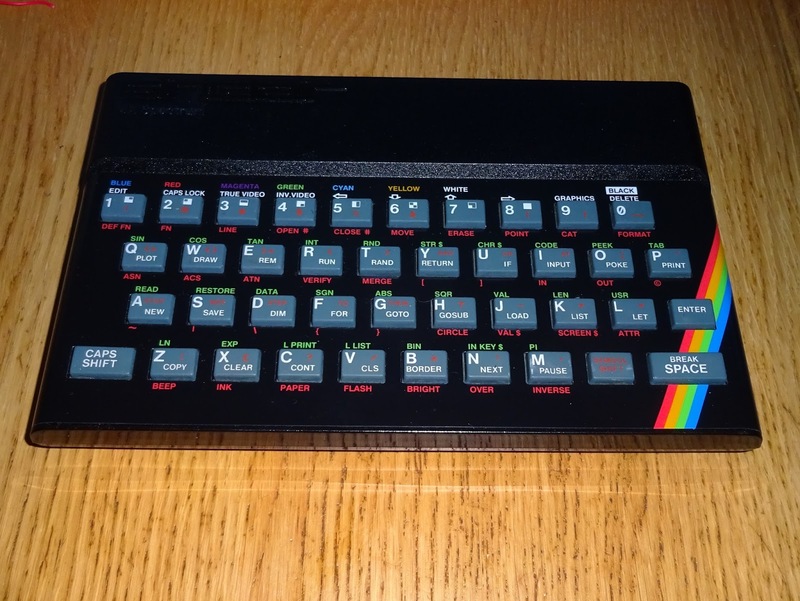 I wanted to use it on the Spectrum Pi, but there isn't space due to the size of the Raspberry Pi B+/2. The left hand USB ports are where there is a mounting pillar. I need to remove those anyway to connect the USB keyboard and USB joystick, but I don't think I can just drill through the board at this point as there may be hidden tracks. I did consider using an older model B board, this had a mounting hole in about the right place, but only the two USB ports, so I would need to remove one and fit an internal hub, and there would only be a single USB port on the rear. The HDMI is higher up, so that is now blocked as well. I was considering fitting in a model A, and then the Pi Zero came along. 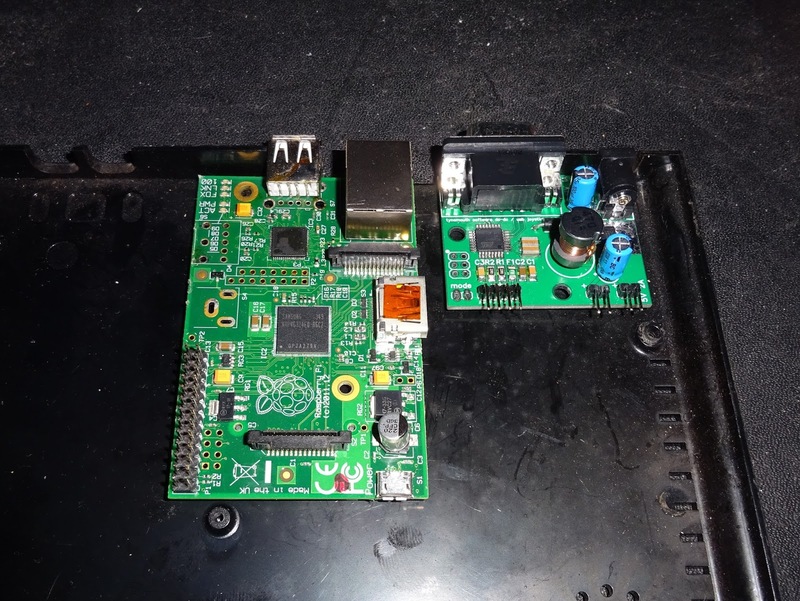 The Pi Zero only has a single USB port. This is a USB 'on the go' port, that just means they fitted a microUSB socket. I modified a 4 port USB hub to have a microUSB plug on the end, and fitted that so two ports were accessible outside, and two ports internally. One is connected to the USB keyboard controller, and one to the USB 9 way D joystick board. 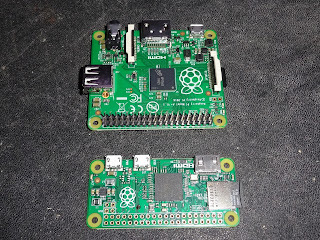 The Pi Zero using the mini HDMI connector, so I've used a short adapter to a full size HDMI socket, rather than the normal short extension lead. 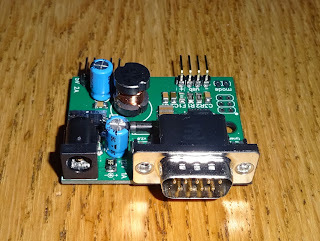 I've wired the power directly from the DC-DC converter board. On the back now, there is the DC input, 9 way D joystick, two USB ports, the mode switch for the keyboard and full size HDMI out. 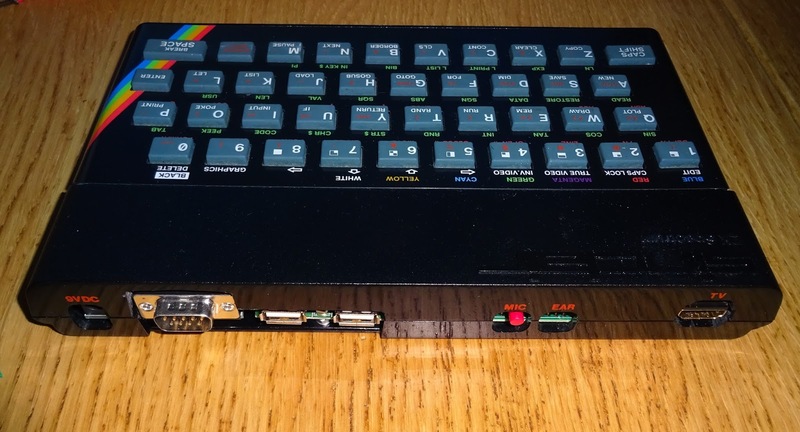 I will be adding this as an option to the ZX Spectrum USB keyboard with Pi in my Etsy store, if you wish to order this version now, just let me know in the order comments. 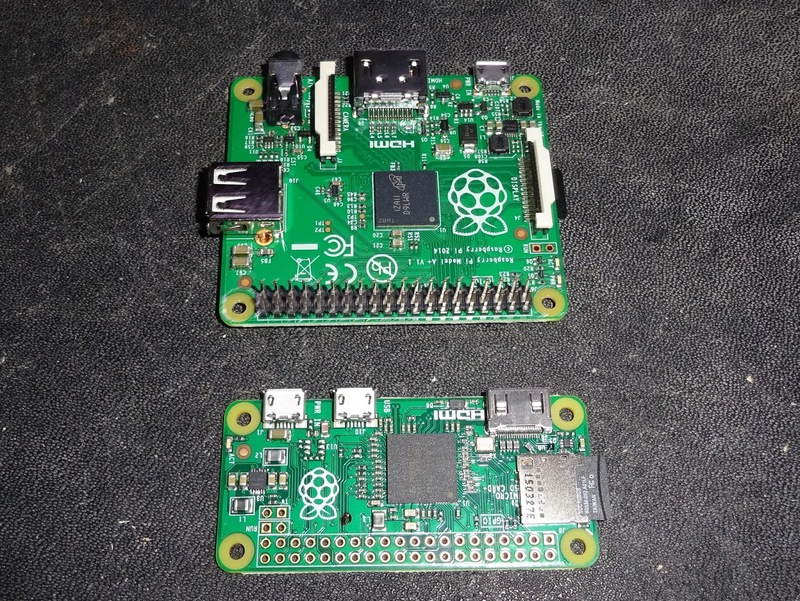 Update: See also a version of the Spectrum Pi Zero with access to the microSD card.